Formally known as the Jarisch-Herxheimber Reaction, or the Herxheimer reaction, it is named after the doctors who first described the reactions to treatment for syphilis, Adolph Jarisch and Karl Herxheimer. 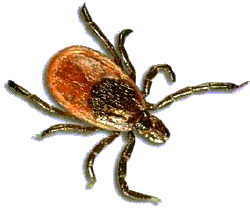 The term "Herxheimer reaction" has expanded to include reactions to treatment for Lyme disease, which is also caused by a spirochete, and generally, by those who are familiar with the term, to the wide array of symptoms resulting from the die-off of the organisms and resulting increased neurotoxin that may take many months to abate. Affectionately called "herx" (as in, "I'm herxing bad today"), the term is sometimes used to described the worsening of some or all symptoms that were present before treatment with the use of any antibiotic, antiparasitic, antifungal or antiviral prescribed for other parasitic (regardless of organism type) infections. Herxing can also result in new symptoms arising, very common in the treatment of Babesia, Bartonalla, Borrelia, and Ehrlichia infections. Herx symptoms are generally different from those that are side-effects to active and inactive/inert ingredients, making it difficult for the patient and treating physician to determine if it is a drug reaction or herx. Along the lines of the joke, "The surgery was a success but the patient died," the severity of an individual symptom or total complex of herx symptoms in a patient can be so extreme, especially when herx symptoms include extreme pain, cognitive dysfunction, and depression, that patients frequently would prefer death over continuing with the treatment. Since there is risk of enabling the organisms to develop antibiotic resistance, there is debate over whether or not patients who are on long-term antibiotic treatment should, when experiencing such extreme herxes, take a break for a couple of days or not. Many find that taking a couple of days off results in a rapid abatement of the herxes for that time. When they re-start the drug protocol, they begin to herx right away, but often the intensity is reduced to some degree, and so the protocol more tolerable. This break-restart may be done a couple of times over the course of a long period of treatment, with each successive resumption being more tolerable, thus the patient can stay on the drugs for longer periods of time.